You can never have too many logs, said the tree surgeon to the forest. We all know the importance of reviewing the event logs, not only for troubleshooting current issues, but to predict future ones. There are plenty of paid enterprise solutions for this, but let’s take a look at some free options. 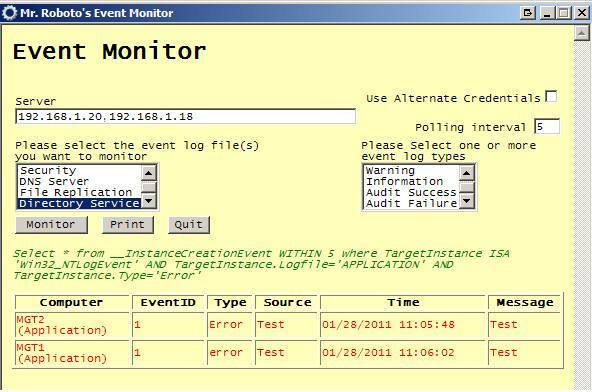 This tool will allow you to monitor windows machines live, using a default polling time of 5 seconds. You can choose from the usual event viewer categories and as an additional bonus DNS / FRS / DS are also included. Once you have selected the categories you’d like to monitor, you can then select the log type, error, warning, information, audit success and audit failure. In the server box, type the hostname or IP of the machines you would like to monitor, separated by a comma. This is a handy tool if you’re keeping an eye out for a specific entry, or a server that is playing up. I’ve used these in the past when merging file shares from multiple sites to a single site. Three sites, each with the same folder hierarchy (A-Z). Each office generally dealt with separate clients but there were still duplicates to be found. To save manually auditing 100s of folders, I used a combination of a simple dir command and the PHP scripts below. 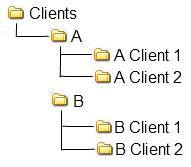 To output all folders I used: dir /s /AD /b > textfile.txt on each file server. This gave me 3 text files to compare. Using the PHP script to compare these files displayed all of the duplicates, from here I could manually sort out any duplicates before merging the 3 file shares.